Compare prices on rental cars at Málaga-Costa del Sol Airport (Aeropuerto de Málaga-Costa del Sol, International), IATA: AGP, ICAO: LEMG in Spain with online boking. 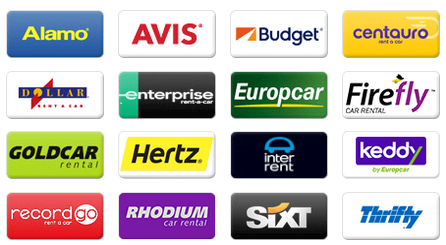 Through our search engine you can book a rental car in 3 simple steps. On site there are car rental companies like Flizzr, Thrifty, National, Goldcar, Keddy By Europcar, Avis, InterRent, Hertz, Enterprise, Europcar, Firefly, Alamo, Surprice, Dollar, Budget, Sixt, etc. All our prices include airport fees, free mileage and necessary insurances, local taxes and fees. Let autospain.co.uk help you find rental cars online. Large or small company? Even if you want a large company it could be worthwhile to compare the small one´s first. Local companies can offer very good prices in some places. At our website you can compare prices on rental cars and car hires from several companies at Málaga-Costa del Sol Airport, Málaga, Spain. Find the best prices for rental cars online. 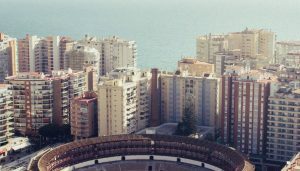 Closest cities are Alhaurín de la Torre 6 km, Torremolinos 6 km, Málaga 9 km, Benalmádena 11 km, Cártama 13 km and Mijas 15 km. Autospain.co.uk only lists prices from companies that are safe and quality assured so that there will not be any problems when you arrive. Airport code is IATA: AGP and ICAO: LEMG. Rental cars you can pick up directly at the airport, Málaga-Costa del Sol Pablo Picasso Airport. Look for a location and choose destination in the list. We can offer car hire where every cost is included, no hidden fees and free cancellations/amendments up to 24-48 hours before you are supposed to pick up the car. A safe and easy online search for rental cars. Compare car rentals for a week, one month, one day, as many days as you wish, long-term, weekend or a year. Collect the car in one place and return it somewhere else, e.g. another city or country. It is possible to rent a car for one way, called the one way rental. When you are looking for rental cars, compare these companies Avis on Avenida del Comandante García Morato, Interrent on Garcia Calle Comandante Aeropuerto Pablo Picasso, Centauro on Calle Pascal 42, Thrifty on Calle Comandante García M, Tipoa on Ramal Comandante García Morato, Autos Aguirre on Avenida Villa Rosa 38, Europcar on Calle Ramal Comandante García Morato, Budget España on Avenida del Comandante García Morato, Goldcar on García Calle Comandante, Marbesol on Avenida del Comandante García Morato 28, Enterprise on Avenida del Comandante García Morato 22, Sixt on Terminal 2 & 3 Llegadas, Niza Cars on Avenida del Comandante García Morato 40, Firefly on Calle Comandante García M, ACE on Avenida Comandante García Mora Costa del Sol Airport, Record Go on Planta 1 Terminal 2 Aeropuerto Pablo Ruiz Picasso, Hertz on Avenida del Comandante García Morato S N Airport, Avis on Pasaje Argonautas 2 at autospain.co.uk, all with offices in Spain. Intermediate, 7 seat minivan, 5 seat minivan, 9 seat minivan, minibus, suv, jeep, premium, standard, luxury, moped, compact, economy, fullsize, minivan, estate, mini, convertible, cargo van and automatic transmission cars are car types and models that autospain.co.uk can compare prices on. About Málaga-Costa del Sol Airport (Málaga-Costa del Sol Pablo Picasso Airport) information, facts and data. The airport is in the municipality of Malaga, in the Andalusia region, in Spain. Granada Airport are other airports nearby. Other names for this airport could be Aeroporto de Málaga-Costa del Sol, Aeropuerto de Málaga-Costa del Sol, Malaga / Aeropuerto, Málaga Airport, Málaga-Costa del Sol Pablo Picasso Airport, Málagako aireportua, International. The airport is located about 52 feet/16 meters AMSL. Closest big cities and communities are Málaga 9 km (c. 568300 pop), Marbella 39 km (c. 134600 pop), Vélez-Málaga 37 km (c. 74200 pop), Mijas 15 km (c. 73800 pop), Fuengirola 19 km (c. 71500 pop) and Estepona 64 km (c. 65600 pop). Closest train stations are Aeropuerto, Los Alamos and Estación de Campanillas. If you arrive or will continue travelling by train, they are all within 4 km. Some shopping that is tax-free? In the airport and nearby the terminal are e.g. Centro Comercial Plaza Mayor and Centro Comercial Málaga Plaza. They are within 3 km. Lodging and hotels that are close to the airport are, e.g. Hi Express Malaga Airport, Hotel Puente Real, Parador de Malaga Golf Hotel and Holiday Inn Express Malaga Airport. All hotels are within 3 km from the terminals. Subway (metro) stations near the airport are Palacio de Deportes, Puerta Blanca, Andalucía Tech and Universidad. More information on where you pick up or return your rental car can be found on your order/ voucher information after you made your reservation. All companies have their own offices where you pick up keys etc. Are you planning to, or are you flying to/from, and will be using Málaga-Costa del Sol Pablo Picasso Airport on your holiday or trip? Here you can find information, maps, weather, contact information and airport information. Orlando, Niza, Hertz, Cooltra Scooter, TopCar, ClickRent, Hertz Dream Collection, Solmar, Dickmanns, AutoReisen, Avis, Maggiore, CICAR, Delpaso, Canarias.com, InterRent, Keddy By Europcar, Alamo, Drivalia, Enterprise, Orcar Canarias, Sixt, Budget, National, Faycan, Hiper Rent a car, Surprice, La Palma 24, Goldcar, Owners Cars, Wiber, Firefly, Flizzr, Centauro, Class Rent a Car, King rent, Rhodium, Autos Menorca, Nomadcar, Autos Aguirre, Thrifty, Autoclick, Autos Valls, Record, OK Rent a Car, Marbesol, Dollar, Atesa, Europcar and Malco Rent a Car are the companies we compare at the airport to find the best price.